Posted July 3, 2014 by Sue Peffer & filed under Software. Cambridge, UK – 3rd July 2014 – Cresset, innovative provider of computational chemistry software and services, announces the release of Forge V10.3. 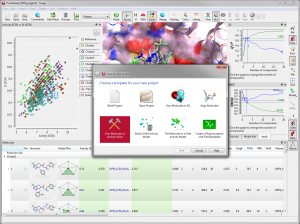 This major new release includes significant enhancements to the science, visualization, and integration of Forge, the computational workbench for ligand-based drug design, including significant enhancements to Activity Miner. Manipulate complex data within Forge using the new Column Script Editor to automatically modify or calculate molecular properties in the data table. Forge V10.3 provides new features aimed at optimization of multiple activities simultaneously through an easy to use interface.